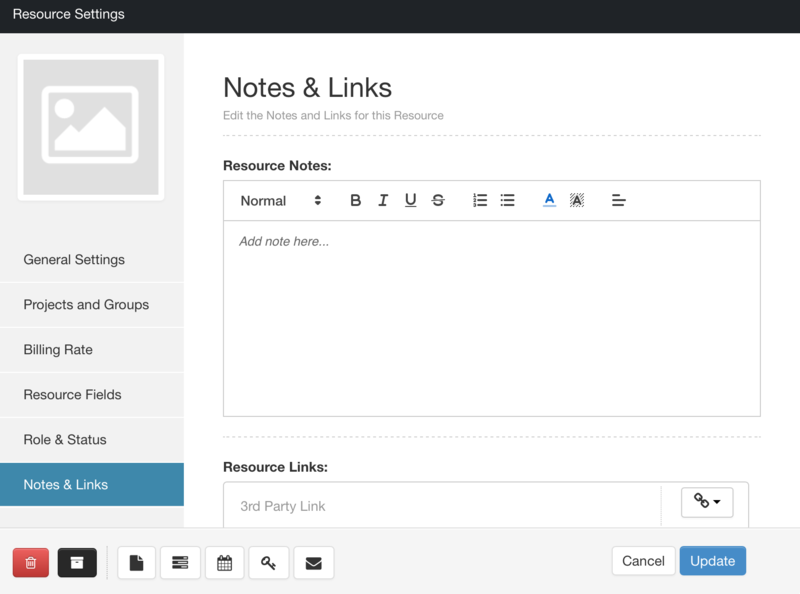 Every resource can have notes associated with them. Notes can be added to the text area and will be available in the notes panel in the General Settings. 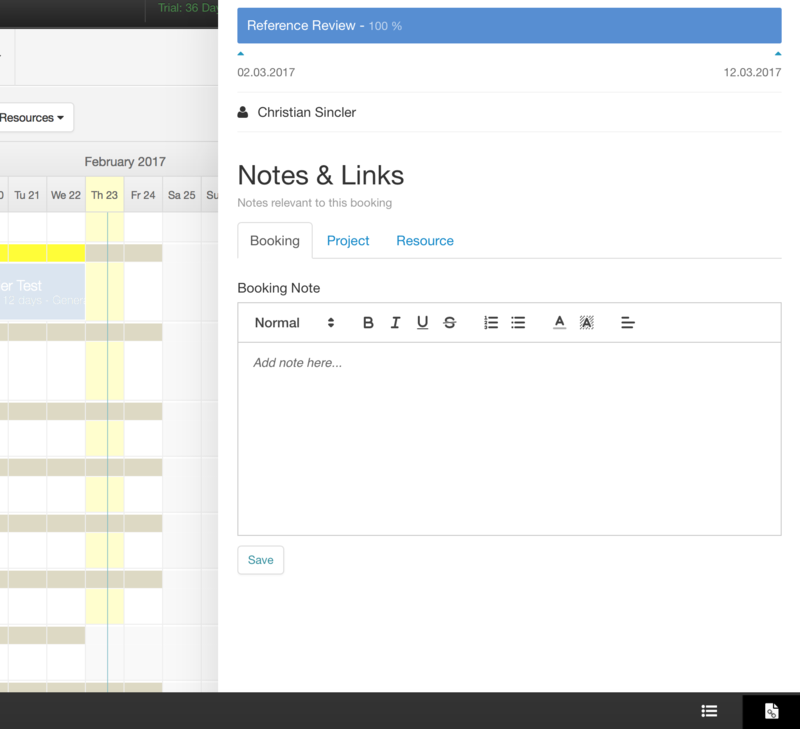 The notes can also be accessed from the scheduler’s right sidebar where you can read, enter, update or delete notes. Notes can be useful for sharing key information about the resource. Resource links allow you to set up some hard coded links to other popular 3rd party softwares often used in conjunction with Hub Planner.